To receive the 10% off In April or May , you must mention it in the comments by reserving online or on the phone or email prior to reserving. 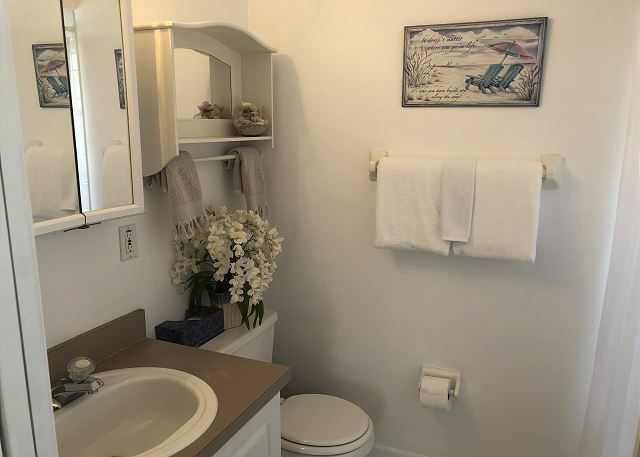 This adorable 2 bedroom condominium is located in the quaint beachside community (unit itself does not have a direct beach view) of Indian Rocks Beach. With 1 queen bed, 2 twins and two sleeper sofas it comfortably sleeps a family of 8. 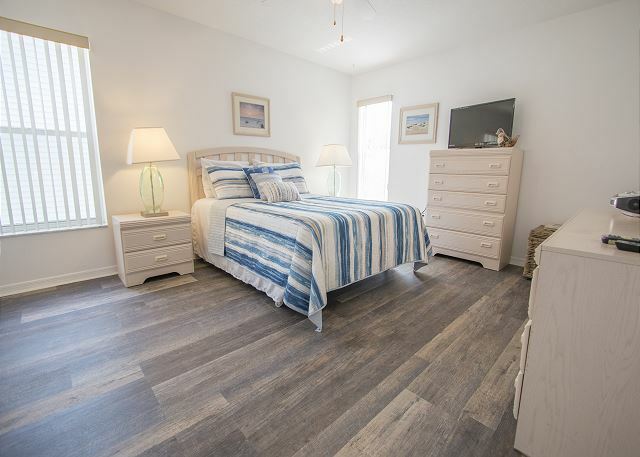 Upon entering you will find a hallway which leads you into the master bedroom which features 1 queen bed and a master bedroom. 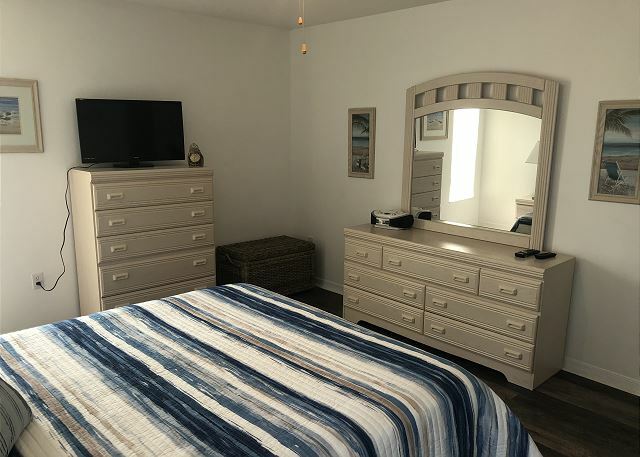 In the second bedroom you will find 2 twin beds with a sleeper sofa. 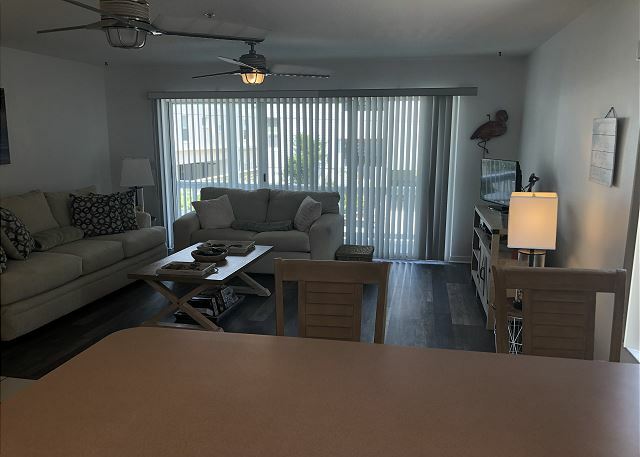 At the end of the hallway you will encounter an open floor plan layout with the kitchen, dining, living room and a balcony with a bistro set. 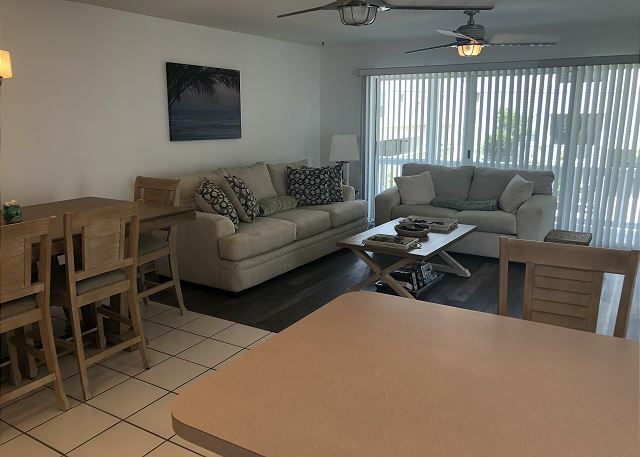 Sea Isles Condo offers a quiet experience away from crowds, but only short drive from all the activities of Clearwater Beach and John's Pass Boardwalk. 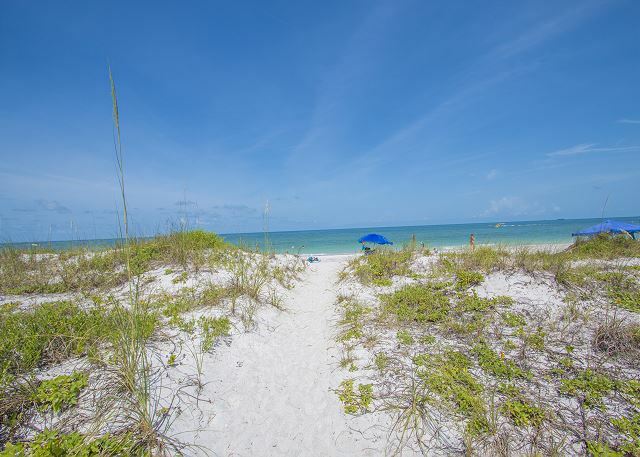 Indian Rocks Beach is part of a barrier island and offers nearly three miles of beautiful and accessible beaches along the glittering Gulf of Mexico. 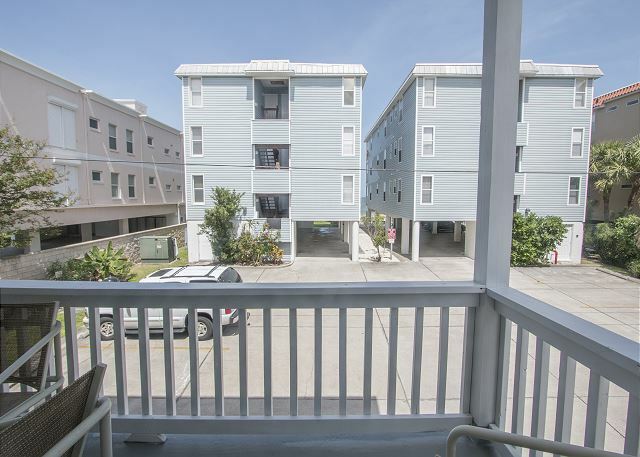 It is nestled between mile markers 16 and 18 along Gulf Boulevard where at various points spectacular water views of both the Gulf and Intracoastal Waterway are enjoyed. 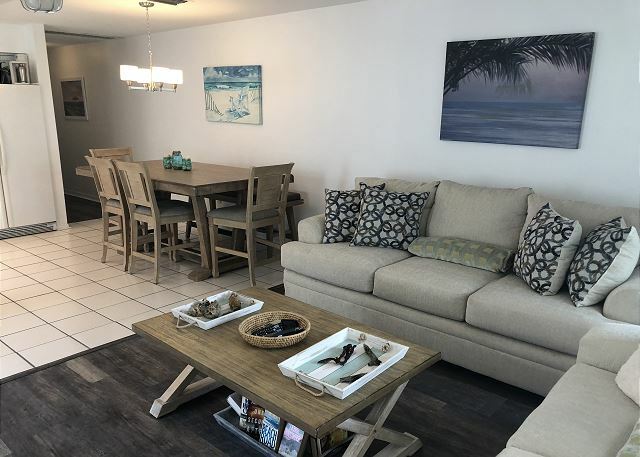 This charming and laid- back beach community is home to local dining favorites Aqua Prime, Slyce Pizza and several other restaurants which are walking distance. There is a water park in the near Holiday Inn and bike and board rentals nearby! 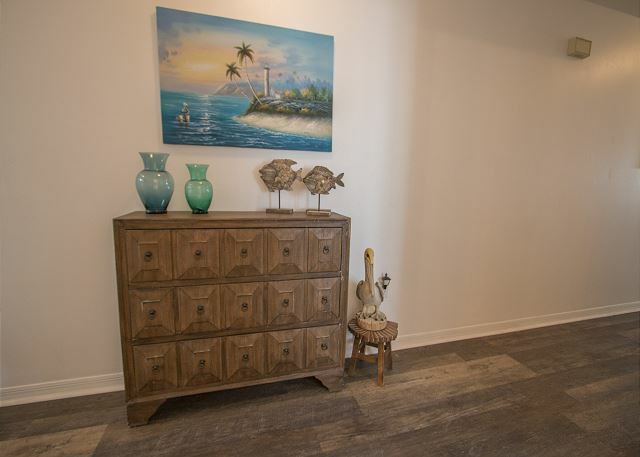 When we walked in, we first noticed that this condo was spotless, and then we admired the lovely, "beachy" decor touches and nice furniture. 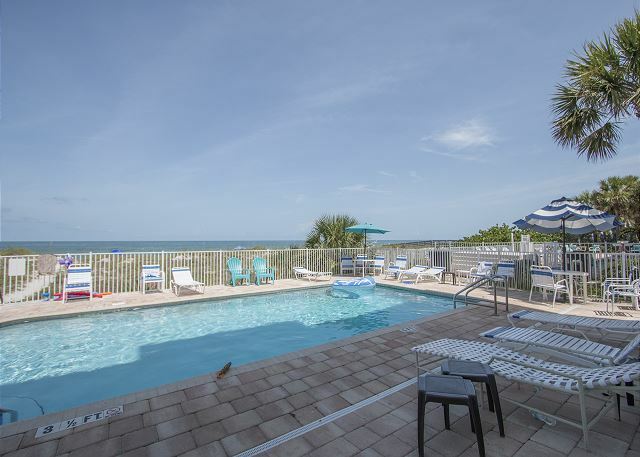 The condo's heated pool was a plus, as was its close proximity to the beach and to many side-trip attractions we visited without ever having to get on an interstate highway. Thumbs up from all 5 of us! 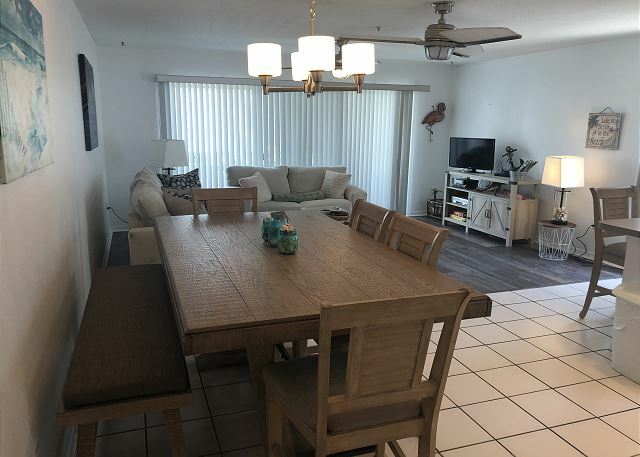 This condo was great felt so welcomed just entering the door, very clean beautiful kitchen and the balcony was awesome sitting in between the pool or the beach just a hop and a skip . 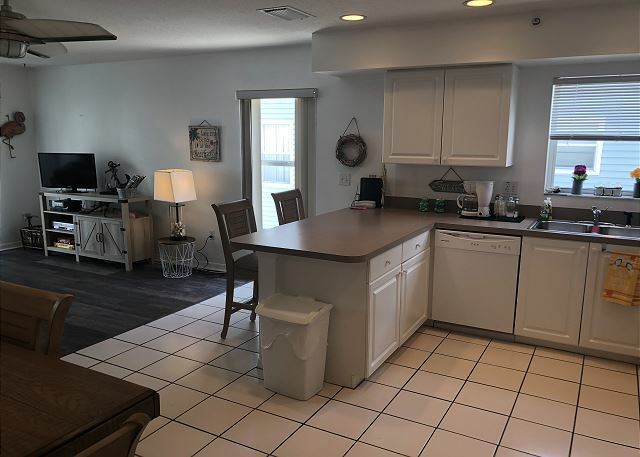 absolutely a warm environment, I will definitely be booking this condo on my next trip. Really good experience. 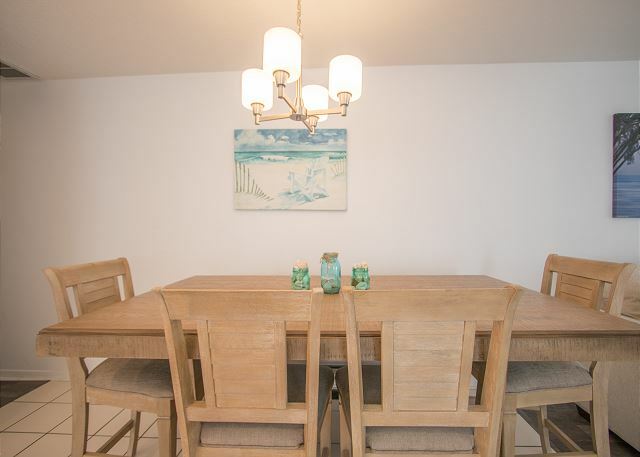 We were contacted by property management immediately after making reservation and all went smoothly. 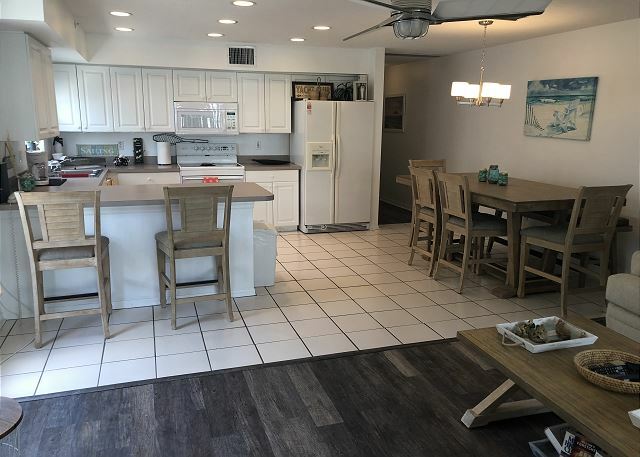 Apartment was really nice and good for 4 people. There’s good restaurants within walking distance and I really enjoyed morning runs during sunrise and walks on beach during sunset. 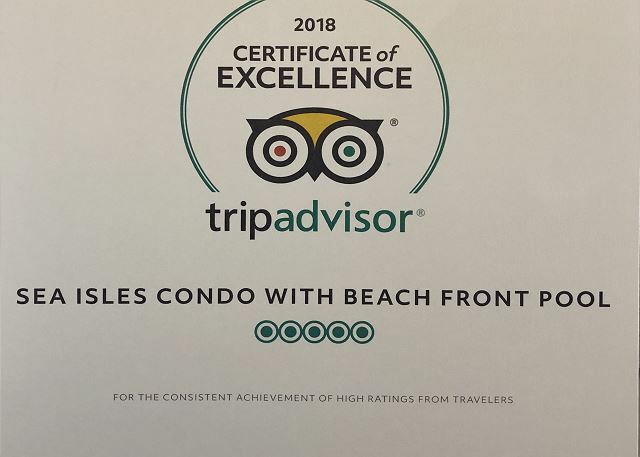 Thank you for your review and for choosing our "Sea Isles Condo by BeachHouseFL". We are happy to hear that you enjoyed your stay and I’m looking forward to having you again as a guest in our home. The condo met our needs. 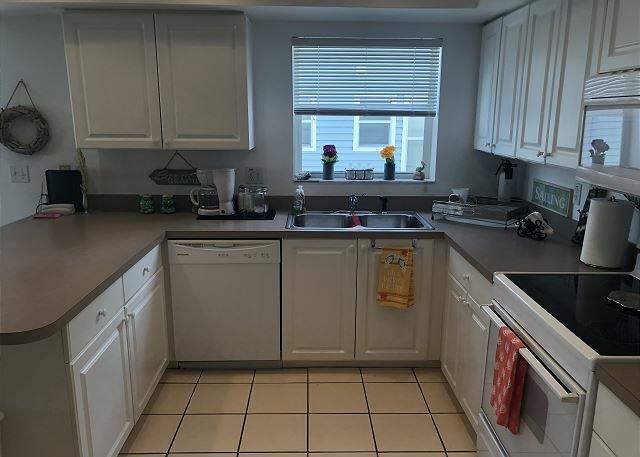 It was clean, in a nice location with easy access to the beach (unfortunately no view of the beach). Very restful and enjoyable famy time. 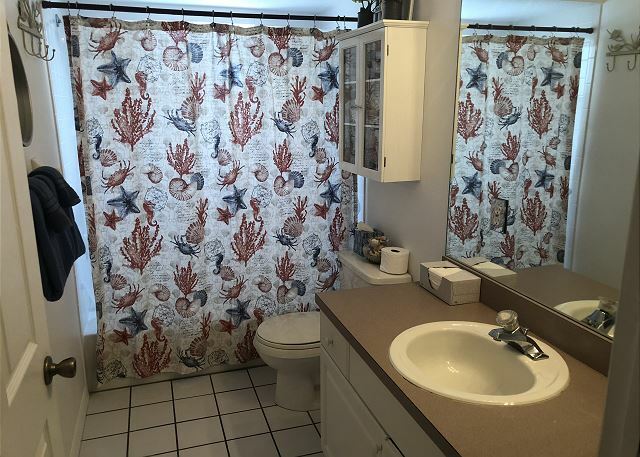 The condo was exactly as described. 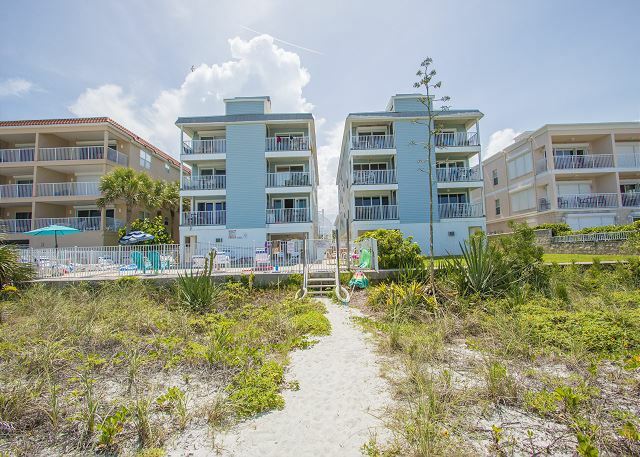 A short walking distance to the beach, which was very convenient when carrying chairs, coolers, etc. We were extremely pleased with the accommodations. 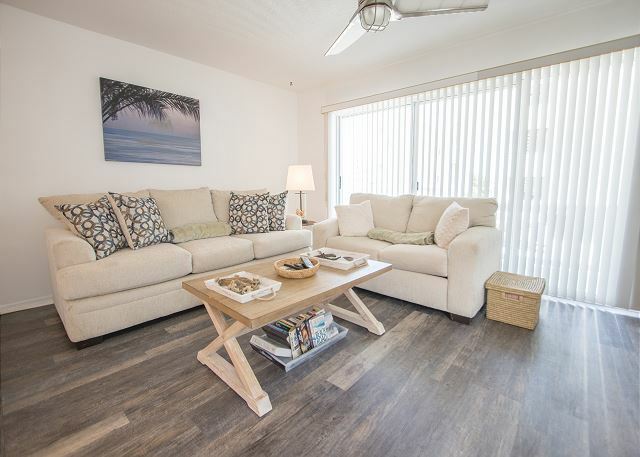 Plenty of room in the condo to relax after a day at the beach. 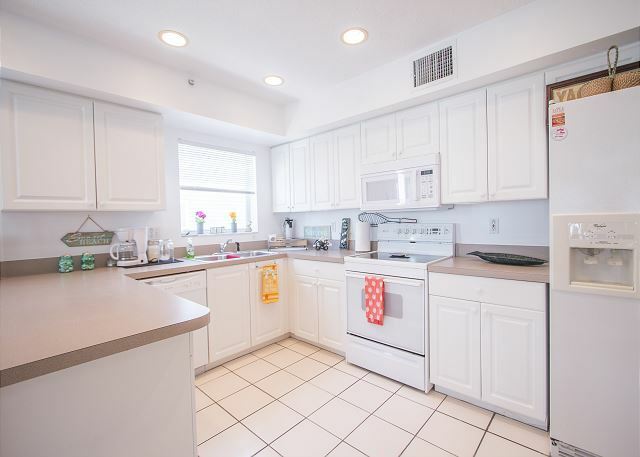 Close to a multitude of restaurants and activities. All in all, a great vacation experience. Will come back again and again! 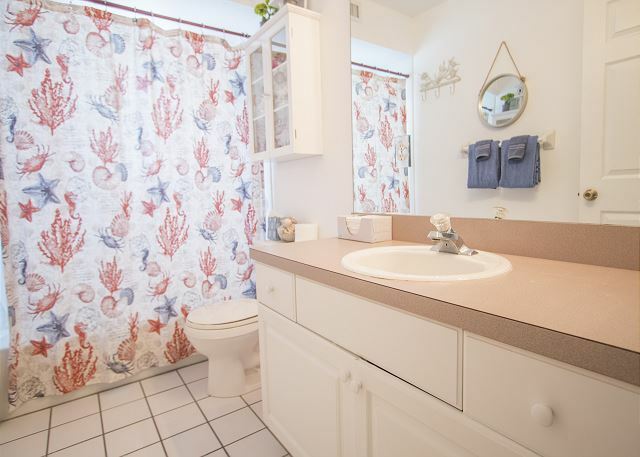 There's also a pool at the condo. 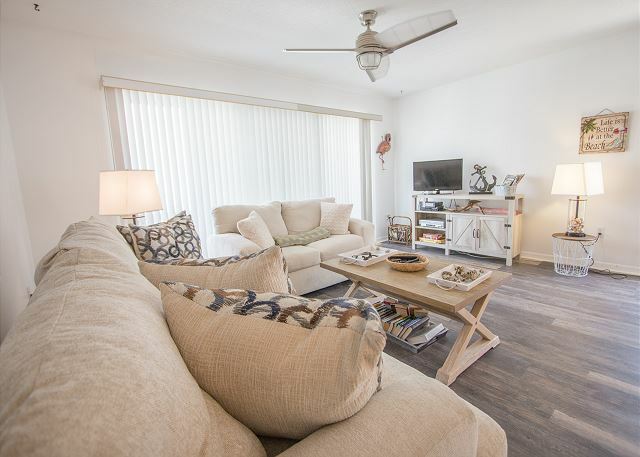 We loved the condo unit b at seaisles in Indian Rocks beach . 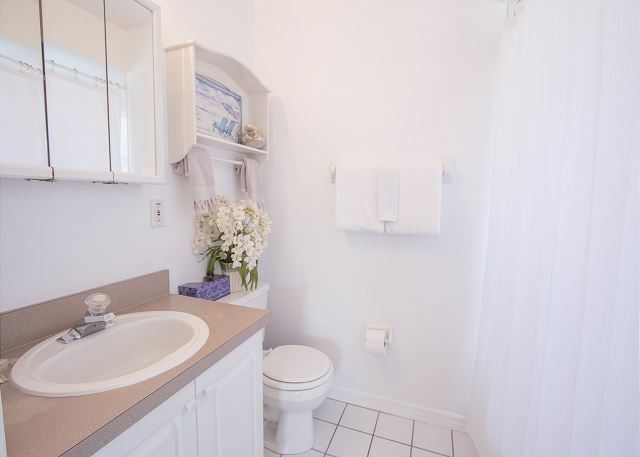 The condo is very clean and comfortable with all the amenities . The beach is right out the door a few steps from the pool so we just went from pool to beach all day . The condo had chairs and pool toys for our kids so that was a plus !! 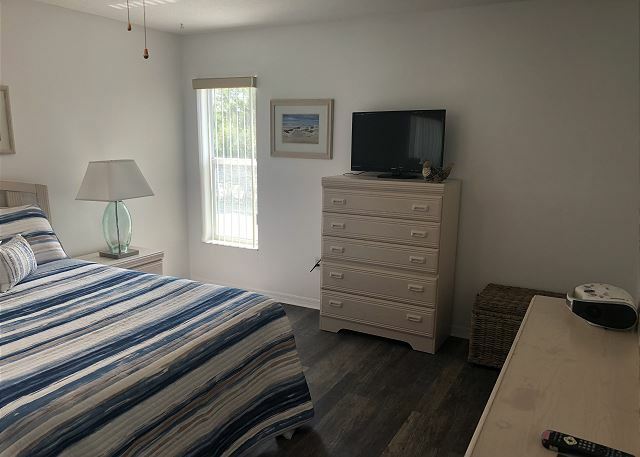 We are going back for our next vacation and we would highly recommend this condo to anyone looking for the perfect vacation , There are Awsome restaurants right on Gulf Blvd as well .